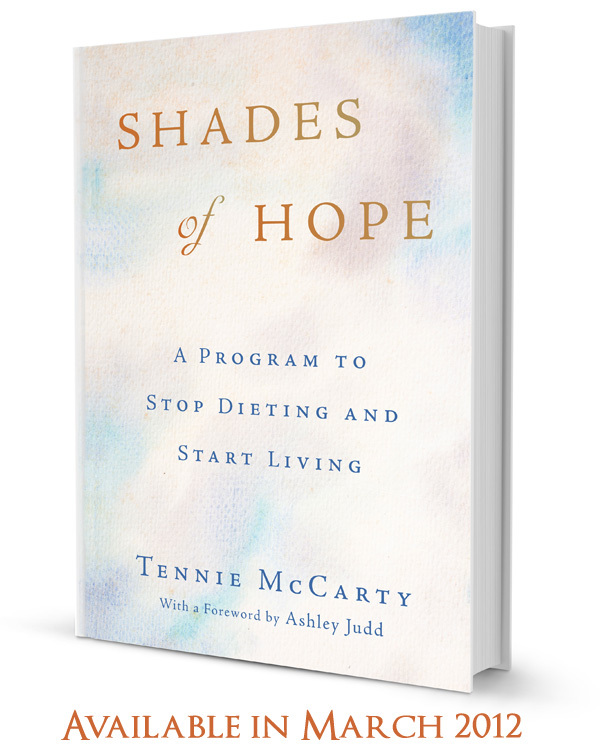 Tennie McCarty shares her philosophy and treatment of her famous retreat center, Shades of Hope, in this prescriptive, inspiring book. With her trademark toughness, good humor and southern charm, Tennie uses her personal story, as well as those of others, to show readers how they can break free of addiction. 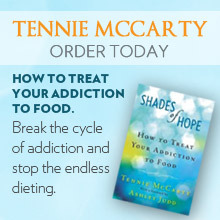 An interactive book that asks readers to be a part of their healing, Shades of Hope provides real-life solutions and a step-by-step program to teach readers how to let go of the never-ending cycle of overeating and attempted diets. I bought this book. I love it.Thank you Tennie for caring the message to others who suffer.